Jamaican chanter Lutan Fyah is one of the most successful contemporary Jamaican artists with over 200 singles and twelve albums under his belt. On his 13th album Get Rid a di Wicked he has teamed up with Grammy Award nominated producer Richard “Breadback” Bramwell. This 15 track set – 16 if you count the closing interview with Lutan Fyah – has Lutan Fyah spitting lyrics with messages of peace, passion, ambition and inequity on tracks like Tired a di Suffering, This Love, which features veteran deejay Lady G, and Children Safe. He also shows affection for all mothers on the heartfelt My Mother, pays tribute to The Gaylads on Jamaican Girl and borrows from the mighty Herbman Hustling on Ganja Man. 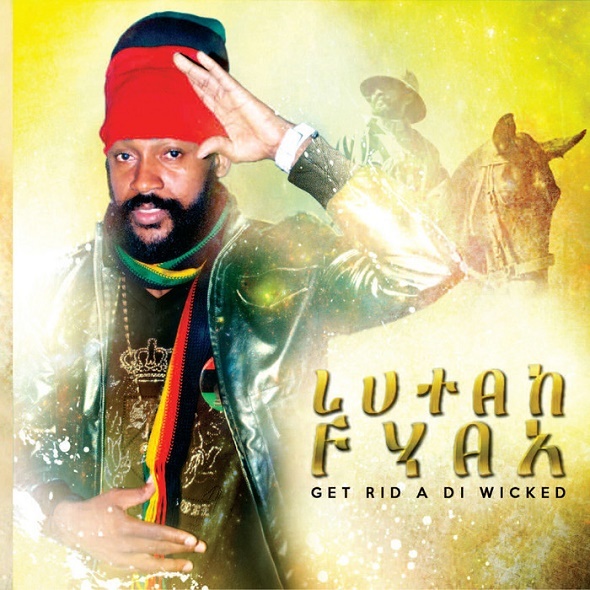 Lutan Fyah is one of the most productive Jamaican artists, not matching the insanely prolific Sizzla, but close. And Get Rid of di Wicked is not one of his strongest albums to date, but it includes enough strong cuts to stand out in a highly competitive genre.